Many homes, even ones with lots of square footage, have at least one small bathroom. Those bathrooms can be pretty hand to keep neat and organized! If you have a small bathroom, you probably find yourself fighting to keep a balance between a bathroom that looks nice, and a bathroom that can actually store everything you need it to. 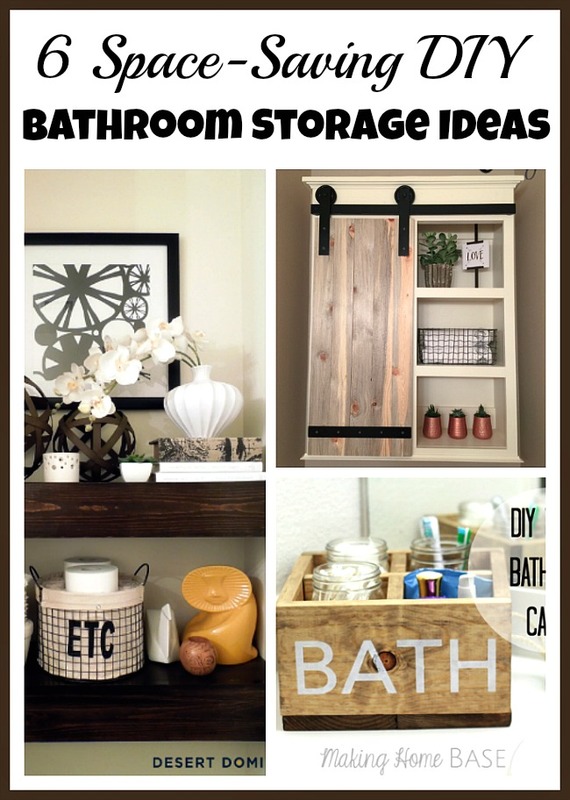 To help you out, here are some Space-Saving DIY Bathroom Storage Ideas! They’ll help you to store your bathroom necessities while making your bathroom look beautiful! Every house we’ve lived in has had one or more small bathrooms, and I have to say that the type of storage below really helps! You’d be surprised how much neater and nicer a bathroom looks with just some extra shelves or a nice caddy! Of course, you don’t necessarily have to do DIY projects to get these small bathroom storage solutions. Instead, these might inspire you to look for already assembled commercial floating shelves or bathroom cabinets that you can easily put up. 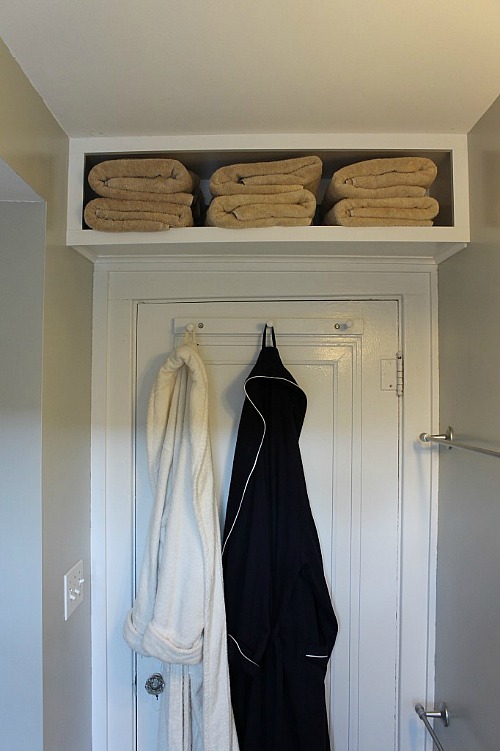 This brilliant idea use that wasted space above the bathroom door for extra storage! 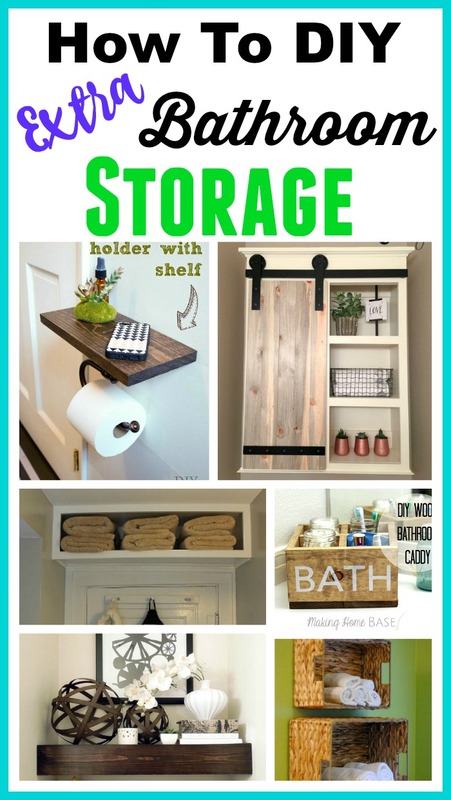 Check out the detailed tutorial for this Over The Door Bathroom Storage Shelf at The 2 Seasons. If you have empty space above your toilet, don’t waste it! 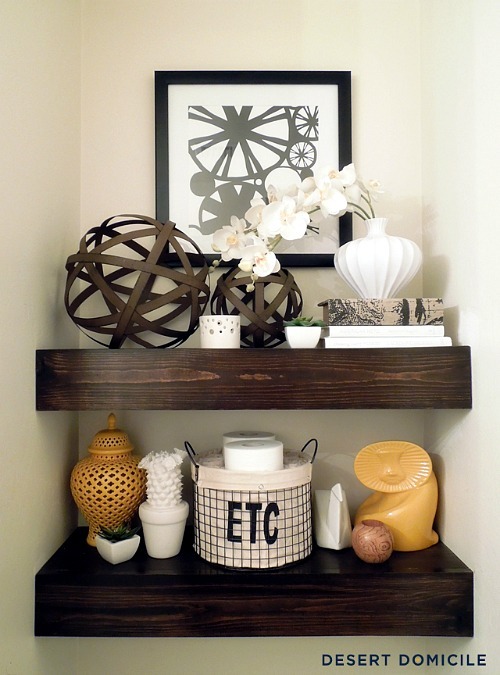 Instead, make Desert Domicile’s DIY chunky wooden floating shelves to hold extra toilet paper and small decorations! To make your bathroom look neater and more cohesive, it can be a good idea to use a caddy. 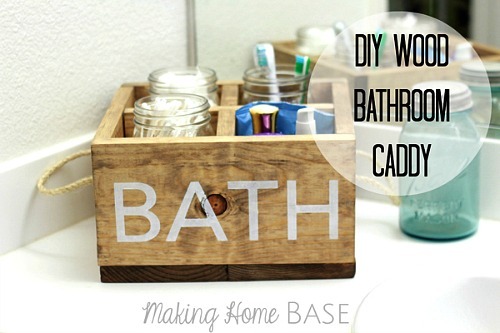 Take a look at how Making Home Base made her own wood bathroom caddy! Isn’t this pretty? You can put any decor you want on the right, and hide toiletries behind the door on the left, or vice versa. This would fit well above a toilet, or on any other open wall space you may have in your bathroom. 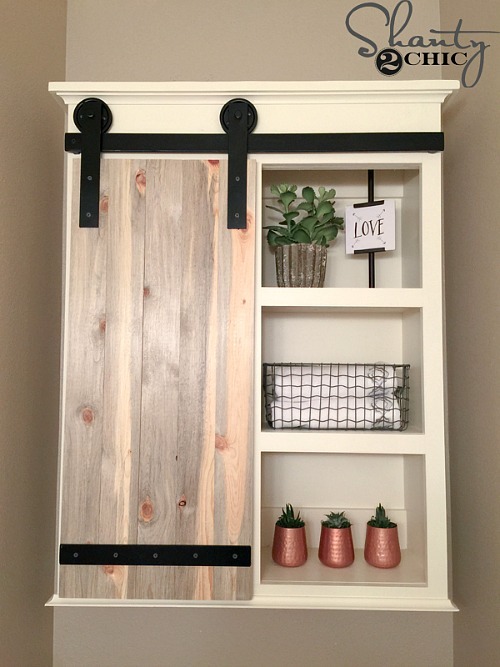 Follow Shany 2 Chic’s tutorial to make your own DIY sliding barn door bathroom cabinet! This is such an easy DIY project, and a great way to store towels, wash cloths, toilet paper, and more! 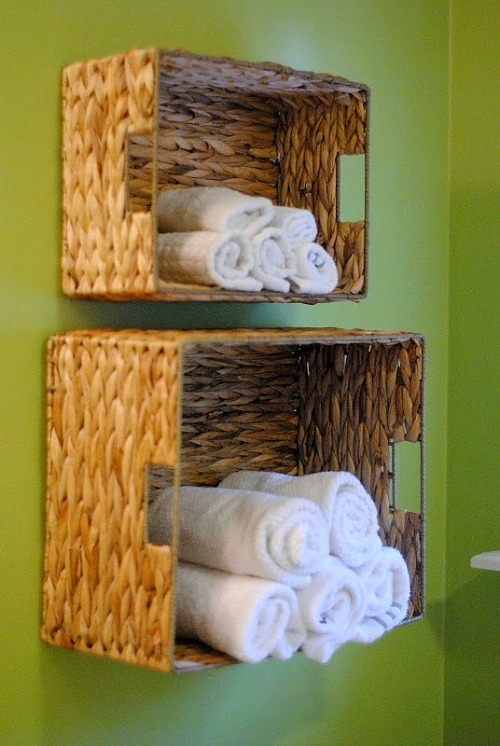 Making Lemonade shows how to make this DIY bathroom towel storage! I love to use Mason jars for storage! They look even nicer when placed in a cute box! 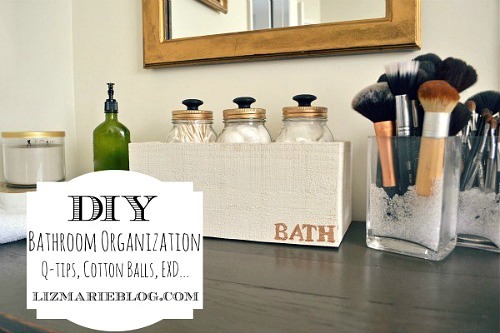 Check out how Liz Marie made these pretty Mason jars and DIY storage box! Traditional toilet paper holders get the job done, but if you’re low on space you may need a space-saving DIY bathroom storage idea like this one. The bottom hook can hold your toilet paper while the top shelf can hold extra toilet paper, potpourri, or any other little things you might need to keep nearby. 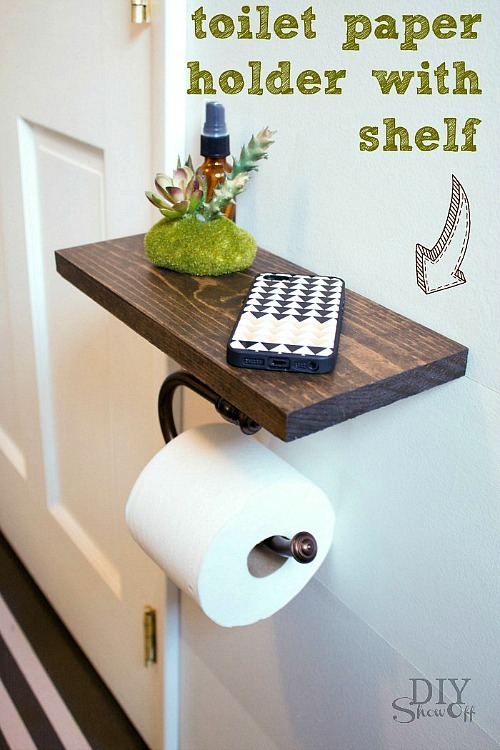 Follow DIY Show Off’s tutorial to make your own DIY toilet paper holder shelf! 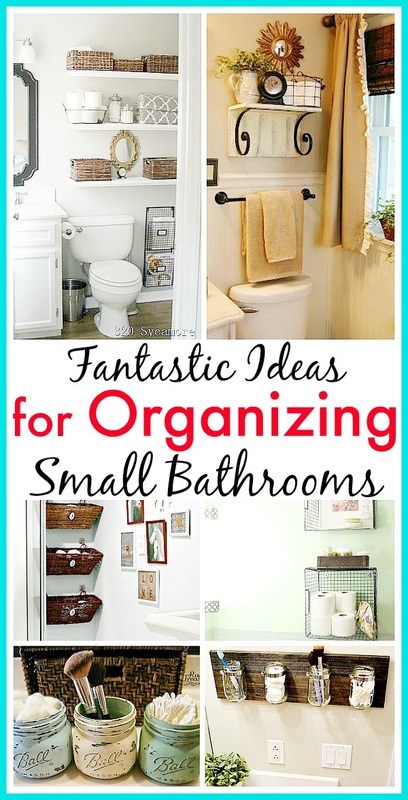 What has helped you organize your small bathrooms?